Dr. Roberts attended college and graduate school at the University of California, Irvine. There she received a BS and PhD in biology. She then did a postdoctoral fellowship in the Department of Neurology at Massachusetts General Hospital, one of the teaching hospitals of Harvard Medical School. She was on faculty at Harvard for a year before being recruited to the Maryland Psychiatric Research Center, part of the Department of Psychiatry at the University of Maryland, Baltimore. Dr. Roberts spent 17 years at the MPRC, where she rose through the ranks to become a tenured full professor and the Director of the Maryland Brain Collection. She also had a joint appointment in the Department of Anatomy. Dr. Roberts joined the faculty of the Department of Psychiatry and Behavioral Neurobiology at the University of Alabama at Birmingham in February, 2007 as the Kathy Ireland Endowed Chair. She is the Director of the Alabama Brain collection and Brain Tissue Coordinator for the Tourette’s Syndrome Association. 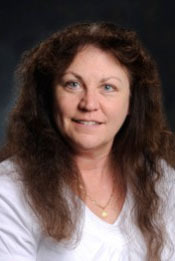 Dr. Roberts holds secondary appointments in several other departments, and is a faculty member in the Graduate School. Dr. Roberts' research is on the neuropathology of the basal ganglia and its connections in schizophrenia. As part of this, she studies the normal comparative anatomy of the basal ganglia and its connections in human, rodent and tree shrew brain. One of the main focuses of the lab is the ultrastructure of the postmortem human brain in health and disease. Roberts, RC, Roche, JK, Somerville S, Conley RR (2011) Ultrastructural Distinctions Between Treatment Responders and Non-Responders in Schizophrenia: Postmortem Studies of the Striatum, in Mental Illnesses - Evaluation, Treatments and Implications, Prof. Luciano L’Abate (Ed. ), pp. 261-286. ISBN: 978-953-307-645-4, InTech, Available from: http://www.intechopen.com/books/mental-illnesses-evaluation-treatments-and-implications/ultrastructural-distinctions-between-treatment-responders-and-non-responders-in-schizophrenia.